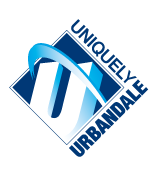 The Urbandale Community School District is comprised of six elementary schools, one middle school, one high school and one alternative high school. We offer comprehensive preschool and before/after school childcare programs as part of Adventuretime Family Services. Families with elementary students are given the choice to either attend their neighborhood elementary school that operates on a traditional calendar or attend Rolling Green Elementary that operates on a flexible calendar (year-round school). We believe in the inherent potential of all students and help students identify, develop, and embrace their full potential. We thank you for giving us the opportunity to help your child learn, grow, and achieve success on the pathway to lifelong learning!